Welcome to the “Houston for Newbies” series. My name is Eric Scalf, and I have been a resident of Houston for around fourteen years, now. After being invited to write on the Houston Metro Blog, I spent a bit of time getting my feet wet, and deciding on a series. For those that read my personal blog, you’ll know I’m a big one for series. As a former City of Houston taxi driver, I have a unique knowledge and perspective of this city that many do not normally obtain – even after as many years of living in our small-town big city. “Small-town big city?” Yep. Houston is probably one of the few (and perhaps, the only) big cities in the United States that has a small-town feel to it. Regardless of where you live in this city, you probably know a good many people that live and work around you. Although you may not know them in depth, you can probably pick a face out of a crowd, and you may even know the name of your local grocery store clerk. It’s the fact that Houstonians are – in general – a personable bunch that gives this city of some 2.5 million a small-town feel. Houston is a city of some two million. We’re a very diverse population, consisting primarily of 37.4% Hispanics, 30.8% White (non-Hispanic), and 25.3% African-American. We’re pretty evenly matched across genders, and we have rated “significantly above (national) average” in regards to the number of African-Americans, Hispanics, and foreign-born citizens. All of this makes Houston an extremely diverse and multi-cultural city. Houston has one of the lowest housing costs in the nation (according to current market data), and the majority of Houston renters average between $450 and $499 per month in rent. Houston’s climate is a hot, sub-tropical one. We are consistently above the national average for June, July and August – in fact, we define the top line of the US average on most graphs. Our precipitation comes and goes, with the highest amounts (on average) in June and September. July and August are our drier months. Houston’s morning humidity? Way, WAY above the national average. Our evening humidity defines the top line of the national average on most graphs. This is only a taste of the Houston city data. For more information, see an earlier entry on this blog, or visit the page that started all of the data gathering, City Data.com’s Houston page. This time I gave you a little bit of information on our fair city. For most of the regular readers, it was a repeat. To be honest, I’m starting the series off fairly light, and giving you sources to do some digging on your own. Personally, I prefer it that way. It’s much more fun to figure out the data, yourself. Next time, I’ll give you some of the history of Houston. That’s an article that will take me a while to write, so you may be waiting a few days. heh. After the history, I’ll start running down the neighborhoods and parts of town for you. This series will be pretty long, by the end, so you’ll want to stick around and learn more about Houston, every day. Houston has many great things but also many faults. See http://groups.msn.com/ProblemsWithGreaterHouston on some our problems we have to deal with on a daily basis. Of course New Orleans sending its gangs over here hasn’t helped either. Anyhoo, I’m looking forward to this series. This is true. Crime has increased, noticably, since Katrina. Both Harris and Ft. Bend SO Deputies have told me that they have seen an increase in both violent and non-violent crime since then; although the same deputies have been quick to tell me that they see a lot of identifiable gang members (identifiable via tattoos, colors, etc) from NOLA that seem to be simply going about their daily lives without causing incident. Night Moves, FM 1960 near Ella. The entire Richmond Strip (consisting of multiple clubs from Richmond @ Gessner to Richmond @ Loop 610). No particular suggestions. There is a Dave & Buster’s located on Richmond, however. If you’re not familiar with D&B, think essentially a restaurant, bar, and midway (video games, and other various fun stuff) all rolled into one. Also on the West side: The Marqee Entertainment Center at I-10 (Katy Fwy) and Silber. This place has a little bit of everything. From restaurants, to bars (Drink Houston is one of the better), to a Jillians, to a comedy club, to an indoor miniature golf course. Central Houston/Downtown: These are the more well known and “upper-end” clubs. Scott Gertner’s Skybar (Montrose blvd @ Hawthorne) – Although not technically downtown, the Sky Bar is one of Houston’s most well-known and unique clubs. On the top floor of an office building, the jazz club provides a heck of a view from its large balcony and windows. Boaka Bar (Beside Mercury Room) – Slightly less upscale (more of a hang-out bar, but only just) than the Mercury Room, Boaka plays a range of music and drinks. The Gatsby: 2540 University (on the roof). Upscale dance club. Morningside Drive: Morningside Drive has several bars, ranging from an Irish pub (well, it thinks it is, at any rate), to a bar where you can get virtually any beer you want (most on tap). I won’t list all of the locations. It’s worth going out and just working the entire block. (Morningside, north of University Blvd). Also, if you’re in the Galleria, there’s The Roxy, within walking distance. 5351 W. Alabama, The Roxy is a hip-hop and dance club, that used to feature live broadcast on 104.1 on Saturday nights (I don’t know if it still does, or not). A lot more info and clubs can be found at Entertainment Houston.com – clubs. Muchas gracis Eric! I’ll be sure to give you a recap, assuming I get a chance to sneak away from my work obligations and enjoy Houston! Eric, thankls again for your tips. I didn’t get as much time as I would have liked to explore Houston, but I did tae a group of customers to Sambuca for dinner and it was great- good food, service and live jazz. 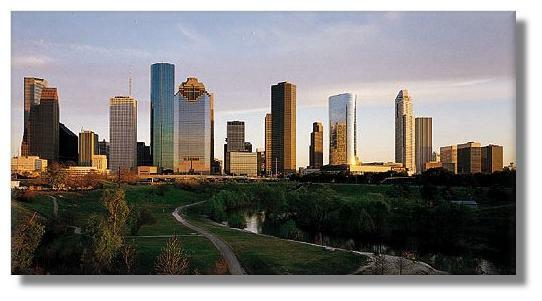 Without exception, the Houstonites I met were friendly and warm and welcomed me to their city eagerly. Thanks again for the tips, and take care! Wonderful! I’m glad you enjoyed your trip. Club Milan, eh? I’ll have to take a look at that one. Most of the downtown clubs try not to let me in (I’m not one of the “beautiful people”), but perhaps I’ll have more luck with this one. I’m always up for hearing about new things in town, whether from Houstonites, or visitors. Sometimes the visitors are the ones that find the best places!